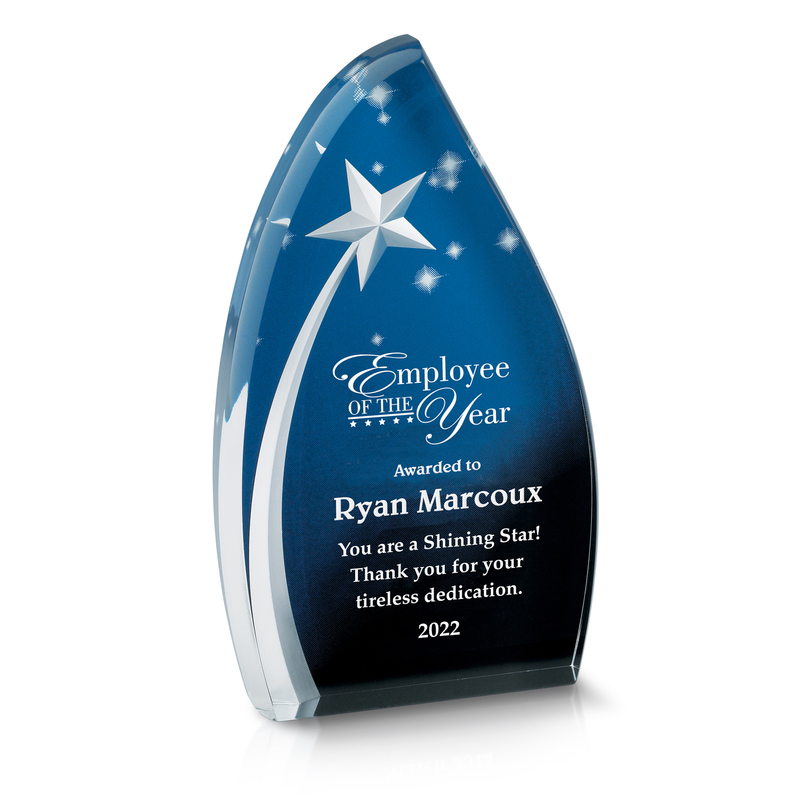 Reward your "out of the world" achievers with this stunning star-filled employee award. The Celestial Star Acrylic Award features a carved silver shooting star arching across a star-filled, midnight blue sky. Select this award for your star employee or employee of the month. Any recipient will display it proudly.